DMEA offers insight into the latest developments in the burgeoning downstream industries in Saudi Arabia, Algeria, Iran, Kuwait, Oman, Qatar, the UAE and South Africa, while covering the latest movements in Bahrain, Egypt, Iraq, Nigeria and Turkey, where refining and petrochemical sectors are showing encouraging signs. On the frontier of the region’s downstream sector are Angola, Cameroon, Israel, Kenya, Mozambique, Uganda and several others, which are all regularly included in DMEA. Looking for more DMEA articles? Or would you like to find out more about the publication? Keep reading. In a region which has shown both extensive investment and increased instability over the past few years, MEA merits a significant degree of technically minded and industry-focused coverage. While DMEA details mid- and downstream company activity throughout the Middle East and Africa, it also contains information of tender announcements and awards, allowing our customers to be kept aware of what their competitors are up to as well as informing them of new opportunities. 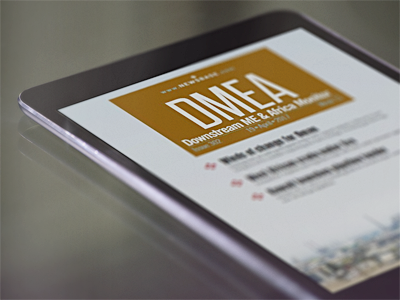 DMEA is a fully digital publication and can be read via PDF, PageSuite or via our NewsBase App. The majority of our premium content is ONLY available to our subscribers. Read our most recent DMEA Top Story. Request a demonstration of the Projects OGP system. A member of our team will contact you to schedule this. "This is a great newsletter and I find it full of information about end users and EPC projects. It helps us to know to target customers who are spending money"